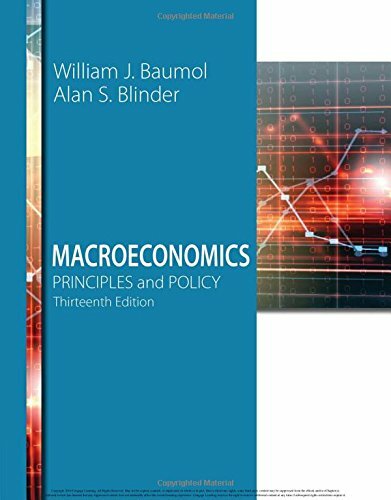 1305280601 -Master the principles of economics, and gain an understanding of current economic situations with the solid introduction and policy-based examples and applications found in MACROECONOMICS: PRINCIPLES AND POLICY, 13E. Written by two of the most respected economists in the world, this edition provides significant updates that reflect the latest economic situations and timely economic data. The authors combine the right level of rigor and detail to clarify even the most complicated concepts. Well-developed examples, intriguing puzzles and meaningful economic issues provide a good balance of theory to application.